Apple created massive buzz with the launch of its latest iPhone 7. But, the iPhone 7 was not the only product that caught the attention. Apple also introduced its “courageous” AirPods touting them to bring “revolution” in the audio segment. The reason why we are asserting on the words – courageous and revolution – is because that’s how Apple justifies its product. Even though this is not the first time that we have seen Bluetooth earphones, but Apple made sure that we see the AirPods in a new light. Whatever may be Apple’s strategy; we are not surprised by AirPods, and neither are we happy with its pricing. At a price tag of $159, we think that there are many alternatives that buyers should take a look at before buying the AirPods. After spending a handsome amount on the iPhone 7 and then shelling out another $159 for AirPods, doesn’t seem legit to us. We have curated a list of some cool Bluetooth earphones that will serve the purpose, and you will still have some money to go on a date. Technically, these alternatives are not completely unwired, as a wire trail goes behind the neck. Your hands will be free for movement, which means that your dance moves won’t get hampered. 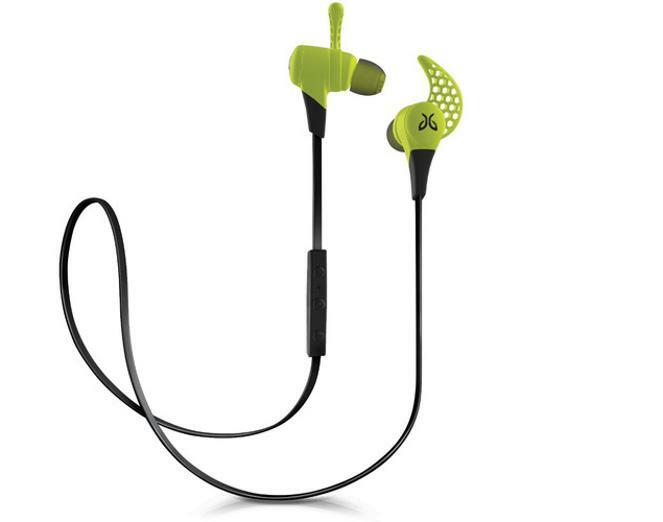 First in our list is JBL Reflect Mini Bluetooth Sports In-ear headphones. Priced at $96, we found these to be a perfect alternative for Apple AirPods. We went through the Amazon listing of this product and found most of the user feedbacks to be positive. 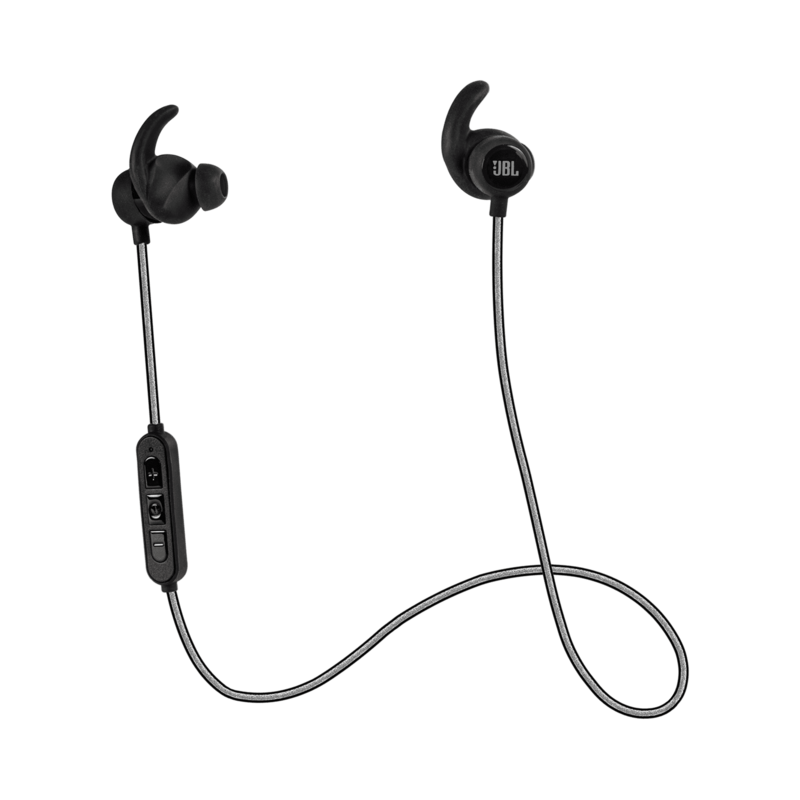 Regarding the features of these In-ear headphones, JBL has made them SweatProof, which means that these could be your workout buddies. Regarding design, they have an ergonomic design and are touted by JBL to stay in place while doing any activity. The JBL Reflect Mini Bluetooth Sports In-ear headphones are lightweight earphones integrated with one-button remote and mic. The inbuilt microphone allows users to take calls while listening to music or watching videos. JBL claims that these In-ear headphones provide 8 hours of playback time. Beats is a well-known brand when it comes to audio devices. 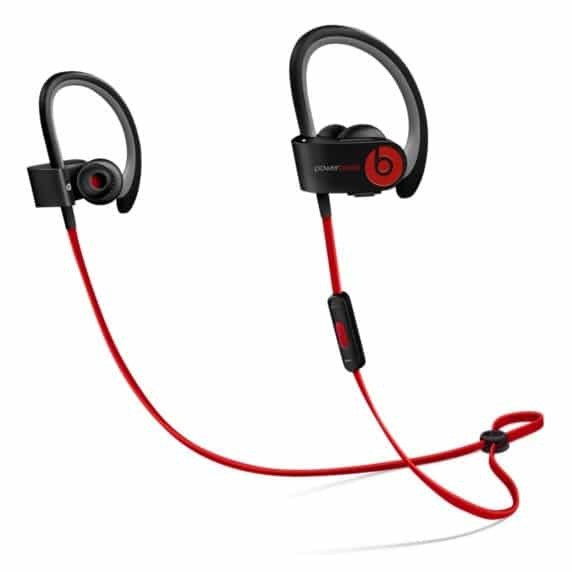 The Beats PowerBeats2 Wireless In-ear headphones are our second pick in the list. These Pair and play earphones support Bluetooth connectivity within a 30-foot range. Like any highly functional earphones, the PowerBeats2 are also sweat and water resistant. You can carry them anywhere and also use them for making calls. The design of these In-ear headphones is kind of cool, and they also have a no-slip-grip RemoteTalk control for volume adjustment. Concerning battery output, these earphones have a rechargeable battery with 6 hours of backup. 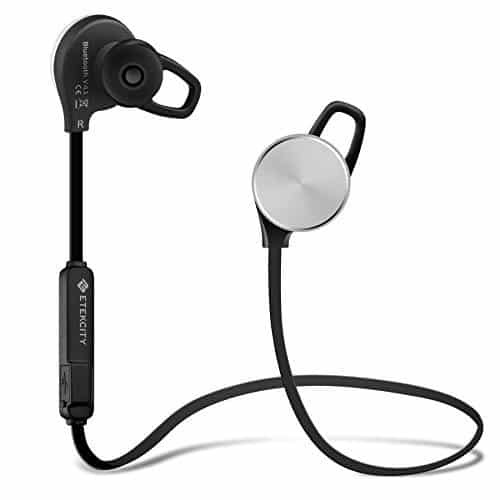 Plantronics BackBeat Fit In-ear headphones are another pair of wireless earphones that caught our attention. These are quite feasible and are packed with features. 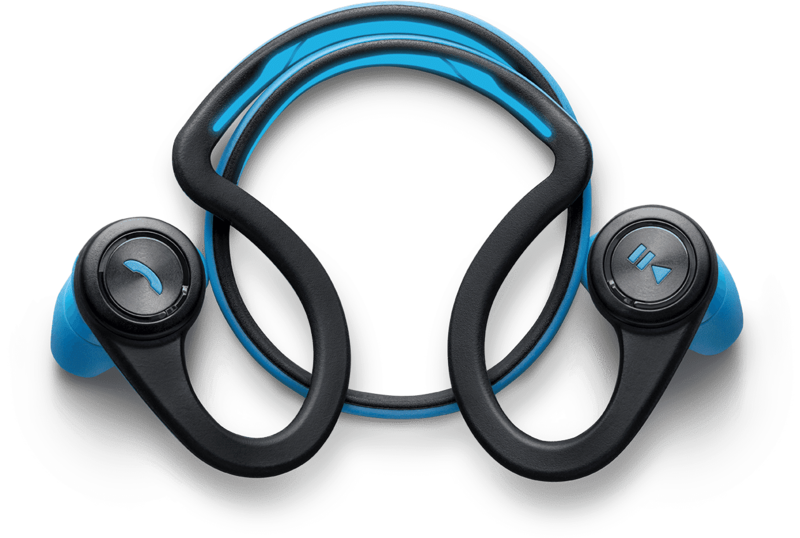 Like the aforementioned In-ear headphones, the BackBeat Fit is also integrated with a good design that does not slip while doing activities. Another catchy feature is that Plantronics bundles it with a neoprene armband, which can be used to keep the phone while using the earphones. 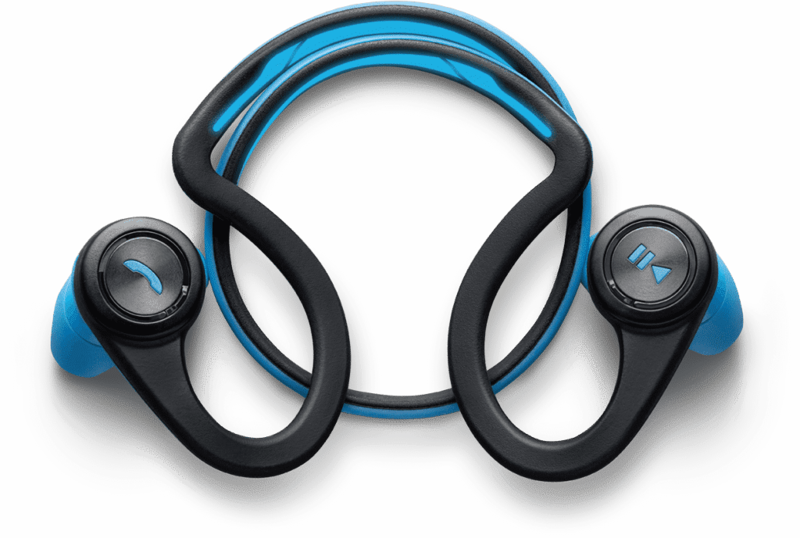 The BackBeat Fit is also water and sweat resistant along with an impressive battery that gives 8 hours of backup. It comes with an IP57 rating, which certifies it to sustain for 30 minutes under one meter of water immersion. Skullcandy is quite a popular brand in the audio segment. Priced at $63, the XT Free Wireless In-ear Headphones can serve as an excellent alternative for Apple AirPods. The pricing is almost one-third of what you have to shell out for Apple’s revolutionary AirPods. These In-ear Headphones are very lightweight and fit well. 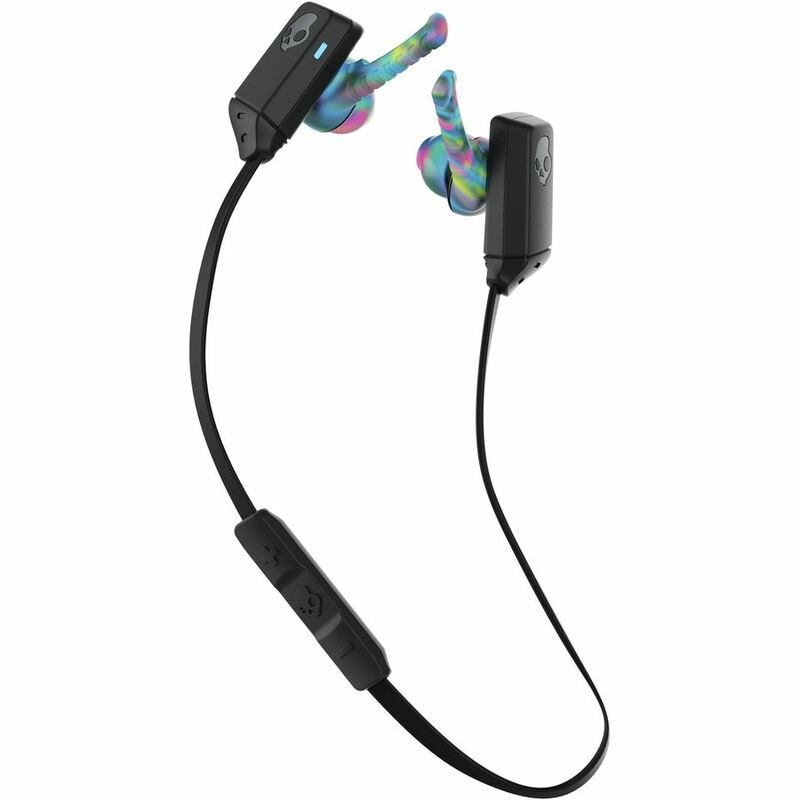 Skullcandy claims them to be integrated with MicroSport and TripleLock Tech, which comes handy while doing any activity. Backing these earphones is a battery that can give up tp 6 hours of backup. Also, you can make calls and adjust audio input with a remote that is placed behind the ear. Regarding design, we liked the pattern on its earbuds. Interestingly, it changes color when you put it on charging. Groovy, we say! Jaybird X2 are a well designed Wireless In-ear Headphones. These come with a layer of foam on its earbuds, which keeps them in place while doing activities. The company claims that these are earphones are capable of providing up to 8 hours of battery backup. Jaybird has integrated them high-connectivity Signal plus Bluetooth pairing, which allows better audio even when your smartphone is not very near. These earphones are sweat proof but not water proof so you cannot use them while doing any water activity. The pricing of these In-ear headphones varies for different colors. The White color variant costs the lowest at $99, while other colors are priced higher. Even the Jaybird Bluebuds X In-ear Headphones could be a good pick. After the launch of X2, there was a price drop for Jaybird X. It is now up for sale at $79. Leme Bluetooth Over-Ear Headphones are a product of LeEco, which is a well-known Chinese brand. These wireless Ergonomic Bluetooth 4.1 Over-Ear Headphone could be your safest bet, thanks to its cheap pricing of $18 for the base color variant (Blue). The Leme headphones are integrated with Bluetooth 4.1 version that makes it speedy regarding pairing with smartphones. These Over-ear Headphones are touted to deliver 12 hours of battery backup. LeEco has incorporated these headphones with CVC6.0 DSP that enables Noise Reduction and Echo Cancellation. You can also control audio and receive calls through the side button given on the side edge of the headphones. The Etekcity Roverbeats S1 is one of the cheapest Bluetooth 4.1 Wireless In-ear Headphones. You can use them up to Bluetooth range of up to 32.8 feet, and it can connect to two devices at once. These headphones by Etekcity are integrated with CVC 6.0 for noise cancellation. There are volume and call control buttons on these In-ear headphones, which allows hassle-free movement. 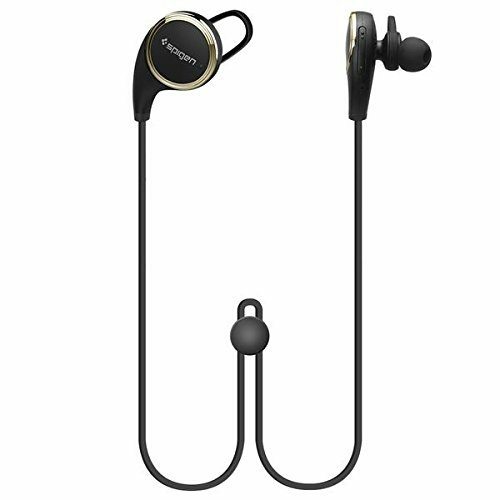 The Roverbeats S1 comes bundled with three different sizes of earbuds to ensure the perfect fit. These earphones offer 10 hours of battery backup. Given the features and pricing, we think Roverbeats S1 are a smart buy. Meizu another popular Chinese smartphone manufacturer. The company also has products for audiophiles, and its Bluetooth In-ear Headphones easily pair with your iPhone. It comes bundled with three pairs of ergonomically designed earbuds that ensure a good fit. 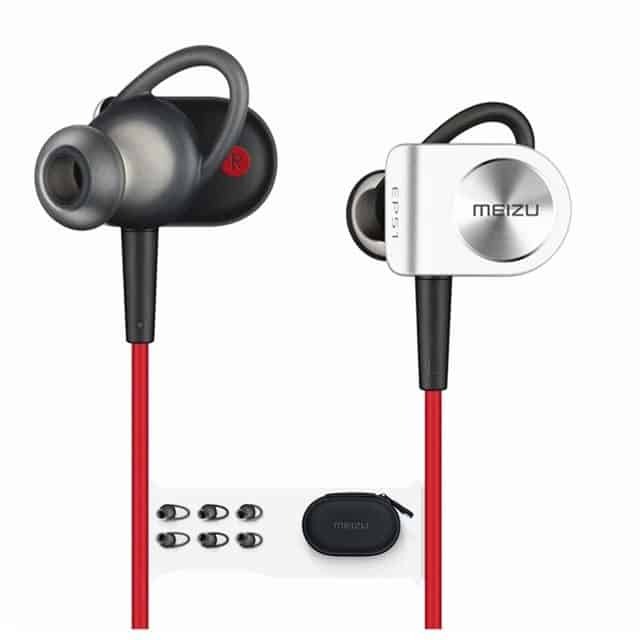 These In-ear Headphones are water and sweat resistant and can provide up to 6 hours of battery backup. Meizu has integrated the earbuds with a magnetic layer that holds them together when not in use. 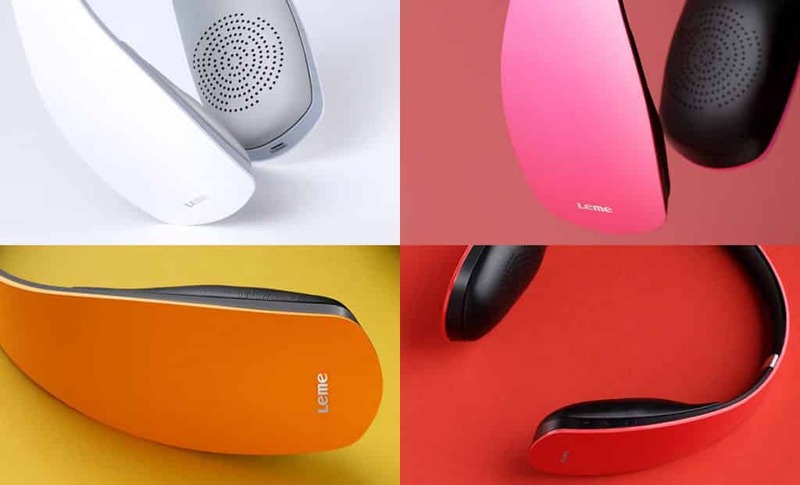 They have a microphone and volume control on one side that lets you answer calls without using your smartphone. Spigen is mainly known for making smartphone cases, and they are on top of that game. But, they are also trying to leave in the audio segment with their Wireless In-ear Headphones earphones. These Wireless earphones can easily connect to your device, thanks to Bluetooth 4.1. They come integrated with CVC 6.0 technology for noise reduction. They also have a built-in mic that allows you to take calls while listening to music. They come bundled with three different sizes of earbuds to provide a perfect fit. Also, Spigen claims that these In-ear Headphones are equipped with HD sound quality. Given the pricing of $26, we think that these are worth trying. 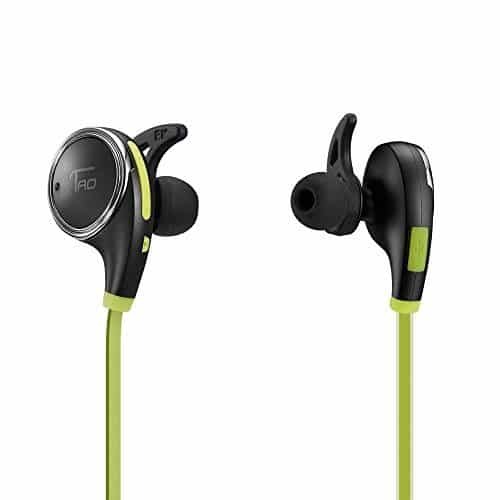 TaoTronics also has a good set of Wireless In-ear Headphones, dubbed as TaoTronics TT-BH06. These Wireless earphones are integrated with Bluetooth 4.0 and CVC 6.0 technology for easy pairing and noise reduction. These In-ear Headphones can sustain an audio range of up to 33 feet. Regarding design, the earbuds are touted by the company to stay in place while doing any activity. The battery can provide up to 5 hours of playback. They are equipped with aptX codec technology for crisp audio output along with the built-in mic to answer calls quickly. Priced at $25, these Wireless earphones are value for money. Phew, that was a long list of Wireless In-ear Headphones. Let us know if you found it helpful. Did we miss any good Wireless In-ear Headphone? If yes, then we would love to hear back from you. Just hit the comment section below and share your thoughts.